Healthranks.org has just announced its “Top 5 Probiotic Supplements Of 2017.” Probiotic supplements are blends of many different microorganisms that benefit your digestive system and immunity. Did you know that 80% of your immune system is located in your digestive track? Probiotics are a great solution to make sure you’re staying on top of your digestive and immune health. Basically you feed your body with helpful bacteria to fight off the bad bacteria. 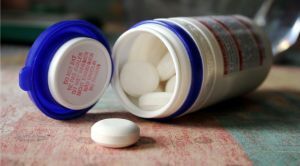 To view the list of top Probiotic Supplements, click here. As Spring and Summer arrives, homeowners are looking for innovative ways to update their outdoor living areas to maximize their enjoyment, and minimize maintenance. Jason Cameron, host of DIY Network’s Desperate Landscapes, recently partnered with ForeverLawn, the leading synthetic turf firm, to create a video to help homeowners get the most of their yards. “Jason Cameron’s Top Five Ways to Reclaim Your Yard,” published today on the ForeverLawn YouTube Channel, provides Cameron’s recommendations for the top five ways homeowners can reclaim their outdoor spaces, and make their landscapes the envy of the neighborhood. From serious golfers, to people looking for a new, fun activity for their backyard, GolfGreens by ForeverLawn offers many unique options. They can design a green to mimic the speed and rolls of a golfer’s favorite course, or create a one-of-a-kind design. This fun, creative product can help homeowners improve their landscape and their golf game. The warm weather means spending more time outside, and creating an inviting backyard entertaining space is a great way enjoy the outdoors. Certain situations can make it nearly impossible to grow a plush, hearty lawn. Sometimes large shade trees keep grass from growing. Some yards have trouble drying out after rain, making the yard constantly wet and muddy. Artificial turf is an excellent solution to these types of problems, and the realistic look of DuPont™ ForeverLawn® Select Synthetic Grass provides that natural grass appearance that homeowners desire. If dogs are tracking mud into the house, digging holes, or otherwise ruining a beautiful landscape, why not give them a space of their own? K9Grass by ForeverLawn is the artificial grass designed specifically for dogs. It’s safe, antimicrobial, drainable, and cleanable. And dogs love it. Watching dogs roll around on K9Grass is entertainment all on its own. And when mud is no longer an issue, there’s even more time to enjoy cleaner, happier pets, and a pristine landscape. If children spend a lot of time indoors texting, tweeting, and gaming, they may not be getting the exercise they need. Creating a new play space outside that is fun and inviting, while also being safe, is an excellent way to encourage kids to go out and play. Playground Grass by ForeverLawn is a soft grassy surface that offers extra protection for kids who like to swing fast and climb high. Since the safety system is installed beneath the grass, it won’t be displaced or degraded by heavy traffic or intense play. And just like the dogs, the kids will stay cleaner while they play. Summary: Congratulations to the new mommies there! While you have entered the new phase of life, with your happiness, you responsibilities have multiplied to a great number. Now you need to be very careful with everything, especially with your diet. Let’s find out what kind of super-food can make you feel better and healthy. 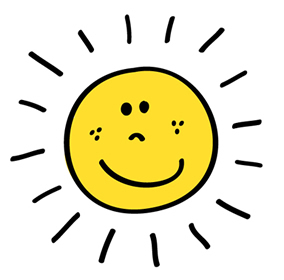 Hope you are enjoying this time. You have just brought a new life in the world and now most of your time goes with him. Your world revolves around the little baby and this at times leaves you wondering where your energy and time fly away. It is something what every new mom worries about. If you are also in the same dilemma, what to have and what not to, for increased energy level, here is the solution. 1. High-fiber cereal: The new mothers make sure you take a bowl at breakfast daily. This will surely satisfy your hunger and prevent you from a common problem in new moms, i.e. constipation. Due to breastfeeding hormones, the process of intestines slows down. You can take any general multi-bran cereals along with a dollop of low-fat yogurt. This combination serves your body with the right amount of calcium. Also you get probiotics (a good bacteria), which aid your digestive system. 2. Eggs: This one is a boon for the moms who really worry a lot about their post pregnancy weight. Having eggs in your daily diet helps you to shed baby weight. You can add it to breakfast and then you can cut down the high calories for rest of the day. Do you know that a single egg has 5 or 6 grams of filling protein approximately? Thus, it will stop those munchies you are forced to have after few hours. Along this, eggs are known to be one of nature’s best sources of choline. As all nutrients are passed to your infant through the breast milk, this will be greatly helpful in building the memory center of a baby’s brain. 3. Salmon: It has been known for its amazing nutritional value. Containing a high amount of a fat, docosahexaenoic acid (DHA), salmon helps in development of your newborn’s nervous system. It is a rich source of protein and vitamin B12. Thus, it will prevent you from postpartum depression. You can add two main servings of salmon in a week. In addition, add wild and fresh salmon rather than the frozen one. 4. Brown Rice: You are in love with the rice. No problem, but you need to switch to the brown option. These are healthy whole-grain carbohydrates, and are something very important for all new mothers. Include them to your diet as it helps you keep your energy level high and make your blood sugar level consistent. As compared to white rice, it has more fiber and other essential nutrients which help in increasing the breast milk supply and quality. 5. Nuts and seeds: Packed with high nutrition, they serve as a great source of vitamins, minerals, antioxidants, protein, fiber, and monounsaturated and polyunsaturated fats. You need to add them to your daily need. It will protect you from heart diseases. Also it works as an anti-aging agent, which is highly useful for your skin. Always keep a handful of almonds or an apple with almond butter with you. 6. Blueberries: New mothers need to add blueberries to their diet. 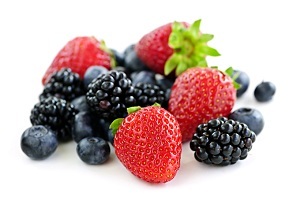 Being a rich agent of antioxidants, these fruits help you to destroy the free radicals. It is beneficial for you and your baby, and protects you both from several diseases. Having vitamins and minerals in abundance, a nursing mother needs healthy dose of carbohydrates and blueberries are the most apt food. You can include two or more servings of the juicy berries daily. Consuming them in the right amount will get the energy to look after your newborn and also help you retain your figure back. Isn’t that all you have been looking for! – Mike Chapman is Health and fitness consultant associated with Dr. Scabies providing professional advice to seekers on dermal issues. He is also passionate about writing on Health, Fitness and Natural remedies. He love to shares his experience in his words with online followers, visitors and friends. Weight loss is a big issue in today’s world. Mostly women face it in late 30’s and 40’s. Over weight can cause you severe harm as it can lead you to harmful diseases which harm you in the way that they make your life tasteless and joyless. Diseases like cholesterol, heart problems, back problems and blood pressure are majorly caused due to having more weight that is beyond normal weight according to your age and height. Do you know you can really control weight without cutting of your favorite food? Yes you can really do it without joining any gym or fitness classes and giving extra time to your physical activities. Are you curious about how can this miracle happen? You can lose weight dramatically by rebounding and bouncing on a trampoline. Yes of course, you need no extra time for it as you can manage to have trampoline at your place and use it anytime you are free. Today I am going to tell you the top 7 reasons why rebounding helps you losing weight. Digestive system is responsible for the digestion of food. If food gets digested fast it helps you to keep your body in shape as much as possible. Digestive problems are likely to be found when obesity and over weight problems are reported. Rebounding on a trampoline improves your digestion and helps you lose weight. If you are not facing any digestion issues then rebounding would help you prevent such issues in future. Extra fats present in your body are a big reason behind your obesity. Up and down motion helps your body heat up and burns all the fats inside. This would make you feel light and relaxing. Mostly we have seen double chin people, some have heavy body sagging. All these issues arise due to extra fats being stored in your body. Rebounding exercises help you burn these unnecessary fats and help you lose weight. You may be wondering how we can lose weight by releasing toxins. Right? The reason behind the fact is that toxins cause certain harmful glands inside your body which do not let fats inside melt easily. Heating up your body and doing several exercises are found to give no benefit to some people. Are you too one of them? The reason behind your worries is toxins present in your body. 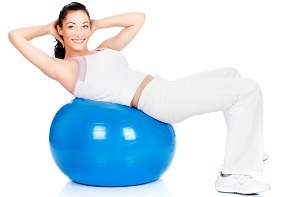 Rebounding helps releasing toxins and lets extra layer of fats pass out from your body. Sweating causing methods are found beneficial in losing weight. Some people take steam sessions for losing weight. However, rebounding can easily make you sweat in no time and causes you lose weight dramatically. Mostly people go for running and jogging for weight loss and it is really helpful. But if you have no time for it then what can you do? Rebounding on a trampoline is the best solution for busy scheduled people. You can do rebounding exercises on any time of day at your home without making much time for it. Also rebounding on a trampoline is found to show more beneficial results than jogging running simply. Up and down motion caused by rebounding helps your body to heat up and this helps melting away extra fats residing inside your body. This may make you sweat and as a result, your body releases away extra layers of fats. That’s why trampoline exercises are found to be beneficial over all other ways of losing weight. Metabolism is a number of activities taking place in your body at a time. Some people have a slow metabolic rate while gymnasts and sport persons have a high metabolic rate as they are physically fit and carry out various physical exercises daily. Metabolism when increased increases the activities in your body which produce heat. This heating effect of metabolic activities help giving off all fats from your body along with dangerous glands and toxins being produced. We come to conclude most important reasons that how we can lose weight while rebounding on a trampoline and how rebounding is different from other popular physical exercises like jogging and jumping. Rebounding on a trampoline is far much better than making up other physical exercises. Sunny is the product manager of Domijump , a leading trampoline factory in China .He has ten years’ experience in the production of trampolines and trampoline parts, any questions about trampoline, you can find an answer from him . 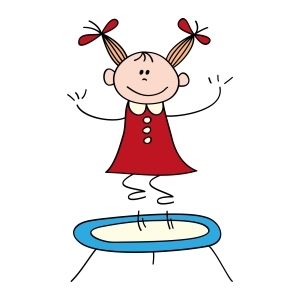 From the editor: As always, when participating on a trampoline, it is important to make sure you are creating a safe environment, as well as getting proper medical clearance from you doctor. Proper supervision is also important. Any questions regarding this article or product, please reach out directly to the author. This article is courtesy of PRWeb and SML, please share your thoughts about it below in the comments section….. Simple Moving Labor’s (SML’s) annual Top Ten Best Places to Move in 2015 includes newcomer Provo, Utah, in the number one spot and four Texas hubs make the list as well. If a move is on your to-do list for 2015, here are the hot spots drawing attention. Provo, Utah captures the number one spot on the “Top Ten Best Places to Move in 2015” list, bumping Boise, Idaho to number two since last year. Simple Moving Labor, the national leader in moving labor, compiles and publishes the list annually. West Palm Beach, Florida, Oklahoma City, Oklahoma, and Austin, Texas – all new to the list, compared to 2014 – round out the Top Five. Texas is the most represented state with Fort Worth, Houston, and San Antonio joining Austin as one of the hottest places to move to in 2015. Dallas just barely missed out on joining, too. Florida and Utah both had two cities on the list. SML looked at cities with populations over 200,000 and then compares the median income, median price of a sold house, projected home value growth over the next three years, and the home affordability index. The unemployment rate is used as a tie breaker. To even be considered for the list, the community had to beat the national average for median income ($53,046 annually) and have an unemployment rate under the national average of 5.7%. SML drew the statistics from the U.S. Bureau of Labor Statistics, Forbes.com, Zillow.com, and the Department of Housing and Urban Development. “The numbers make a compelling argument, but it is when you start looking a little deeper, seeing what the residents say about an area, that the true story comes out,” McCollum said. “The residents in these communities are the city’s strongest advocates. They love where they live and want people to realize it. ABOUT SML: Founded in 2007, SML is the nation’s leading provider of moving labor services – help loading or unloading your rental truck or storage unit – as well as door-to-door, full-service moves. No matter your moving needs, SML delivers the manpower, work ethic, customer service, and expertise to make your next move a simple move. The vacation experts at Travel To Go reveal some of the top spring vacation destinations around the United States. Travel To Go is one of the leading vacation fulfillment providers around, providing travelers with the chance to spend their vacation enjoying the best of the best. It should be said that Travel To Go is one company that seems to go the extra mile, even offering travelers advice and ideas for those planning an upcoming vacation that they may find useful. There are a lot of choices around the country to pick from for a vacation, but with the expert opinions of the staff at Travel To Go, planning is easier than ever. 1. San Diego: California is a great choice year round, but San Diego in the spring offers some unique beauty that travelers will want to get a glimpse of. Travel To Go shares all those who love flowers will want to plan their trip to the city during the famous Coronado Flower Show, one of the biggest on the west coast that displays the unique finds found around the city. This year’s festival will take place on April 18th & 19th, plenty of time to plan a trip. 2. Arizona: Phoenix is home to many fun things to do, including a lot of opportunities to explore the outdoors. This city is also located very closely to one of the wonders of the world, less than two and a half hours away from the famous Grand Canyon. Visit the south rim to take a ride down to the bottom via donkey, something Travel To Go shares will become a lifelong memory for both kids and adults. 3. Charleston: This southern city truly has a charm during the spring time, offering all those who visit the chance to spend time amongst the old-fashioned cobblestone sidewalks and the moss-covered trees found in the area during some of the cooler weather. Travel To Go knows all those who love to eat will want to be in town for the widely renowned Tristan Food & Wine Festival, which takes place on March 7th. Travel To Go knows spending time at any of these United States cities will be a great way to enjoy a spring vacation. For more information or for other ideas during the vacation planning process, please visit Travel To Go online at http://www.traveltogo.com/. Thank you to PRWeb for supplying this article, please share your thoughts in the comments section below…..
Studies Show That Active Travel is No Longer a Luxury, but a Necessity for a Healthy Mind, Body and Spirit. As the leader in active travel, VBT Bicycling and Walking Vacations has successfully operated bicycling and walking tours throughout the world for over 44 years, creating culturally immersive experiences for American travelers. With numerous studies showcasing the health benefits of an active vacation, VBT President Gregg Marston, an avid cyclist, walker and traveler, has compiled a list of the top five healthy reasons to book a trip that will benefit your mind, body and spirit. 1. Social Health – According to the Global Coalition on Aging, group travel builds social ties, which studies have suggested helps nurture interest in life-long learning. With a small-group design, VBT tours deliver authentic personal interactions. Whether it’s enjoying a picnic lunch at the home of a Spanish family on the way to Cordoba or the warm encounters with local families during home-hosted lunches and dinners, group travelers share wonderful memories that will linger long after returning home. 2. Brain Health – According to Dr. Paul Nussbaum, Ph.D., ABPP, travel promotes brain health and builds brain resilience. 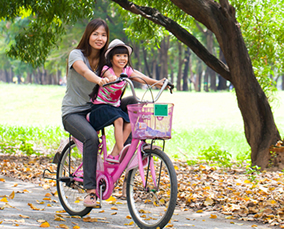 Preventive Medicine found that people who cycled frequently benefitted from improved mental well-being. While traveling with VBT, learning experiences are endless from a private cooking class at one of Hoi An’s most popular restaurants to guided tours with local experts in Cesky Krumlov and Pompeii, wine tastings in Bordeaux, and demonstrations with artisans on the Croatian island of Brač. 3. Lowering Health Risks – Active travel is proven to lower many health risks such as diabetes, metabolic syndrome, high blood pressure, heart disease, colon cancer, breast cancer, depression levels and more, according to the Physical Activity Guidelines Advisory Committee. Furthermore, staying active and traveling throughout life has physical, cognitive and social benefits that lead to a healthier aging process according to the US Travel Association. Offering an easy-to-moderate pace, each VBT traveler can create their own activity level with the flexibility to stop along the way to enjoy a glass of wine against a backdrop of rolling hills of Tuscany or the swaying Cypress trees in Provence. 4. Spirituality – Beyond the excitement of new discoveries, travel offers the opportunity to enrich and transform one’s perspective. A stroll along verdant gardens in Capri, a peek into the historic chapels in Bellano or a bike ride along Lake Champlain opens the mind, exhilarates the senses and refreshes the spirit immeasurably. 5. Necessity over Luxury – Nearly half of Americans agree that travel is not a luxury, but a necessity according to TravelEffect.com. Plus, surveys from the Global Coalition on Aging show that after being on a vacation for a day or two, 89 percent of people are able to leave the stressors of work behind and relax. That’s a major reason why 98.6 percent of VBT’s guests plan to travel again with VBT due to the fulfilling experiences they enjoyed during their active vacation. In addition to numerous health benefits, VBT travelers will be fully immersed in their destination. All VBT Bicycling and Walking Vacations are led by local Trip Leaders who provide insight into the region’s customs and traditions, as well as help facilitate authentic cultural experiences. Continually recognized as the best value in active travel, VBT’s tour prices include all accommodations, use of custom bicycles or walking poles, many meals, two expert local trip leaders, unique sightseeing and cultural activities, and on-tour vehicle support. Travelers looking to reach healthy goals on vacation can save up to $300 on select departures by using the code VBT1505 when booking now until February 6. To request a catalog or reserve a VBT active vacation, visit http://www.vbt.com or call 877-395-5290. VBT offers 49 deluxe, small-group bicycling and walking tours in 25 different countries, including destinations throughout Europe, Costa Rica, New Zealand, Vietnam, Peru, South Africa, and the United States. Each trip includes all accommodations, many meals, two expert local Trip Leaders, unique sightseeing and cultural activities and on-tour vehicle support. Unlike other companies, VBT also includes roundtrip international airfare from over 30 U.S. cities and select Canadian cities for all overseas vacations. In 2014, VBT was rated by the readers of Travel + Leisure among the “World’s Best Tour Operators” for the fifth consecutive year. http://www.vbt.com. Find Your Trainer reveals the top 9 reasons getting a personal trainer is the best way to reach fitness and weight loss goals faster. Exercise is great in any form. The only “bad” workouts are the ones that don’t happen. But for people with little free time to spare, specific goals to reach or not knowing where to start, working out with a personal trainer is ideal. Everyone seems to have an opinion about fitness. Whether it’s when to stretch, where to train or why a specific technique is best, opinions about exercise are endless and often contradictory. Personal trainers are able to cut through the noise and act as a voice of reason. Speaking based on education and experience, rather than emotion and fads, personal trainers can offer unrivaled and unbiased guidance on how to reach your fitness goals. Time is money, right? Personal trainers aren’t free, and neither is your time. Maximizing the return on your time and money is essential. Personal trainers are the ultimate time-saver. Because they know how to maximize every workout, you’ll get better results faster. While it’s possible to meet fitness goals on your own, working with a personal trainer can definitely reduce the time it takes to achieve certain results. With comprehensive knowledge, experience and expertise in fitness, personal trainers teach you the best techniques and the safest way to do them. Proper form is everything when working out. When training on your own, it can be very easy to lose track of your form, which is the quickest way to injury. Personal trainers help ensure proper form and execution every time so that you get the most out of each workout and stay injury-free. Nutrition is one of the most important factors in how you feel and in determining your body’s response to exercise. Eating better means something different for each person based on your body, as well as your weight loss (or weight gain) goals. Personal trainers can provide extremely valuable diet and nutrition guidance that will make a world of difference in how you look and feel. There’s no such thing as an “one-size-fits-all” ideal workout regimen — different techniques and training styles work better for different people. 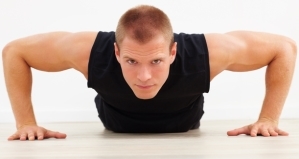 Personal trainers tailor exercise programs to meet your individual needs and circumstances. Working out alongside a trainer gives you someone to communicate openly with and provide real-time feedback to so that your exercise program is constantly evolving. When you decide to work with a personal trainer, you suddenly have another person to keep yourself accountable and make sure you keep training. While it’s easy to come up with excuses to skip a trip to the gym, it’s much harder to come up with valid reasons to actually cancel an appointment with a personal trainer. Seriously though – we all need some external motivation. Knowing when and how to provide it is critical. When working out just doesn’t seem worth it, a personal trainer will be there to remind you that it is and why. When you’re tired and want to quit, a personal trainer will be there to support you so that you stay the course and get the results you want. That expert encouragement can make all the difference between reaching your goals and giving up. The path to reaching your fitness goals will inevitably be lined with bumps along the way. When confronted with transforming your body, a host of anxieties can run rampant, whether you feel overwhelmed, unconfident, intimidated, confused or all of the above. By supporting you every step of the way, a personal trainer can alleviate such anxieties. Consider them therapists for the body and mind! Following a regular workout routine isn’t easy, but even those who manage to do it aren’t set for life. Oftentimes, people with an established exercise regimen find that after a while they don’t reap the same benefits that they used to and their progress plateaus. A personal trainer is the perfect person to help you take your body to the next level. Your trainer will amp up or modify your program to keep getting you the results you want. Based in New York City, Find Your Trainer is an online marketplace that helps consumers achieve their fitness goals faster by connecting them with personally vetted trainers at leading health club and studios. Users are able to research, book and pay for personal training sessions anytime for their phones, tablets or computers. Because of Find Your Trainer’s unique partnerships, users are able to train at the largest selection of gyms in New York without a gym membership, buying a package or paying a guest fee. Users can also book a trainer to come to their home or building gym. To learn more, visit findyourtrainer.com. One of the best-loved destinations in the world for families is Disneyland, and each and every year thousands flock to the Park and its sister California Adventure for family fun. Jeanette Bunn knows that this year will be no different for the popularity of the park, especially as it begins its 60th anniversary celebrations in May. For those who want to enjoy the Disneyland experience with their families this year, Jeanette Bunn, Travel To Go President, shares some tips for navigating the park and enjoying the trip to the fullest. 1. Give each kid some input: When traveling with a large family, it is important that everyone has a say in what they want to do on the trip. However, families want to avoid arguing during the park day by planning ahead. Jeanette Bunn recommends that families have a list of must visit rides and areas of the park for each family member before entering the park. This will help the family make a plan that will please each member and help everyone have their perfect vacation without disagreeing. 2. Avoid overspending on merchandise: It is always tempting to buy a lot of souvenirs while in the park. However, costs for these items can quickly add up, especially for large families. By buying some new Disney products from stores near home or online before the trip, and then presenting it to kids on the way, families can avoid the high park prices while still getting the kids some Disney merchandise to remember the trip. Parents can also give each kid a budget so that they can pick a fun item that they want to bring home from the park. 3. Dine smart: For those with big families, Jeanette Bunn of Travel To Go knows that it can be inconvenient to deal with crowds during meal times. However, if families are a little flexible and visit the restaurants during irregular meal times, there will be more space for the family to sit together and shorter lines to contend with. However, be sure to pack some snacks for the kids before heading into the park. Granola bars and packs of crackers are good choices that can prevent the family from wanting to spend money on park snacks. Also, never be afraid to leave the park for a couple of hours for a picnic lunch or fast food outside the park to cut down on meal costs. Planning a Disneyland vacation is always a thrill. When using tips like these from Jeanette Bunn, Travel To Go President, families can easily navigate the park, save money, and ensure that everyone has the Disney vacation that they dreamed of. 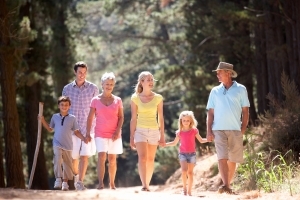 For more information on planning a family getaway in 2015 visit http://www.traveltogo.com/.